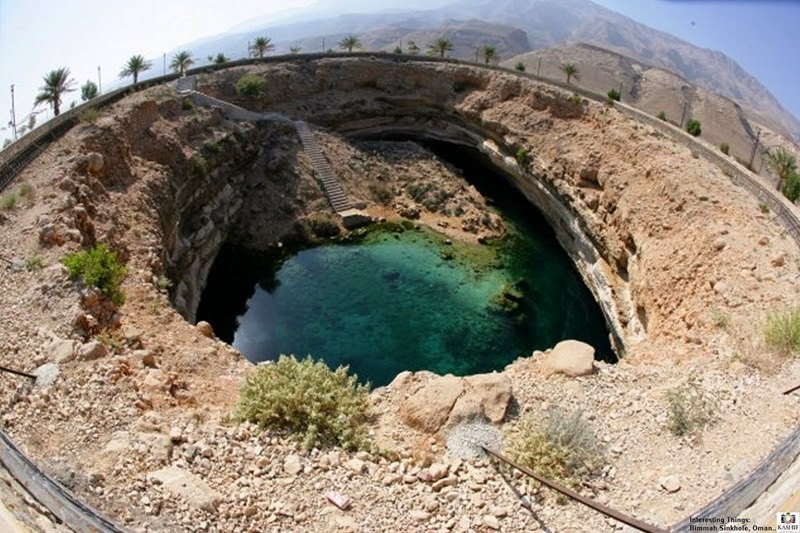 The Bimmah Sinkhole, located in Hawiyat Najm Park, literally meaning Meteor Fall Park in Arabic, is a sinkhole in Muscat Oman. 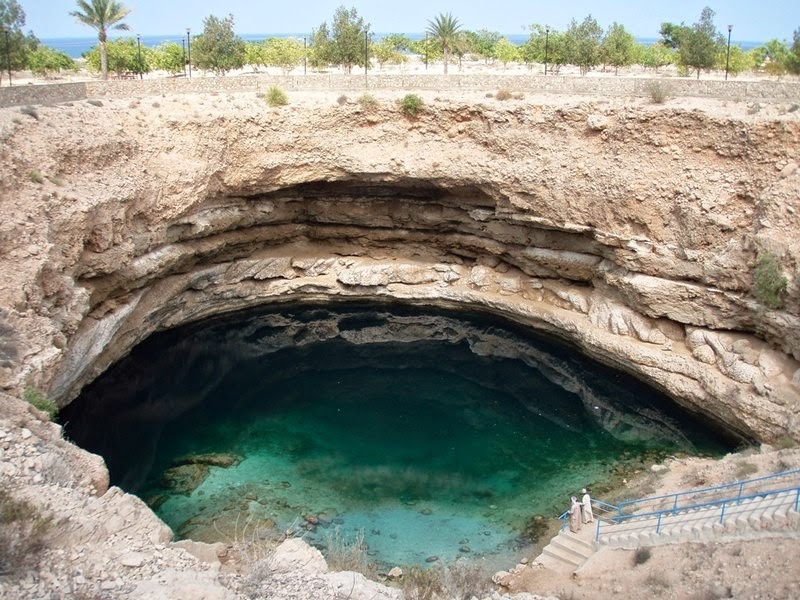 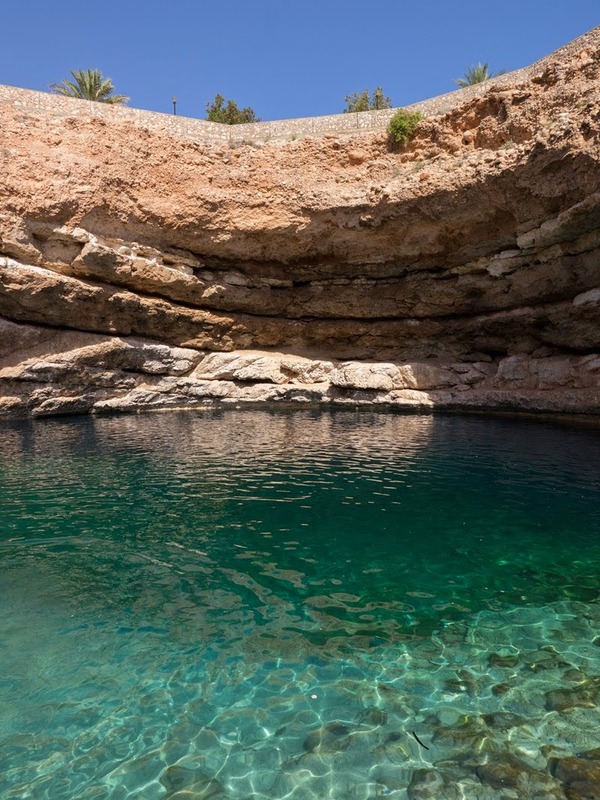 Bimah sinkhole is beautiful natural landmark - a place of refreshment at the long coastal road of Oman. 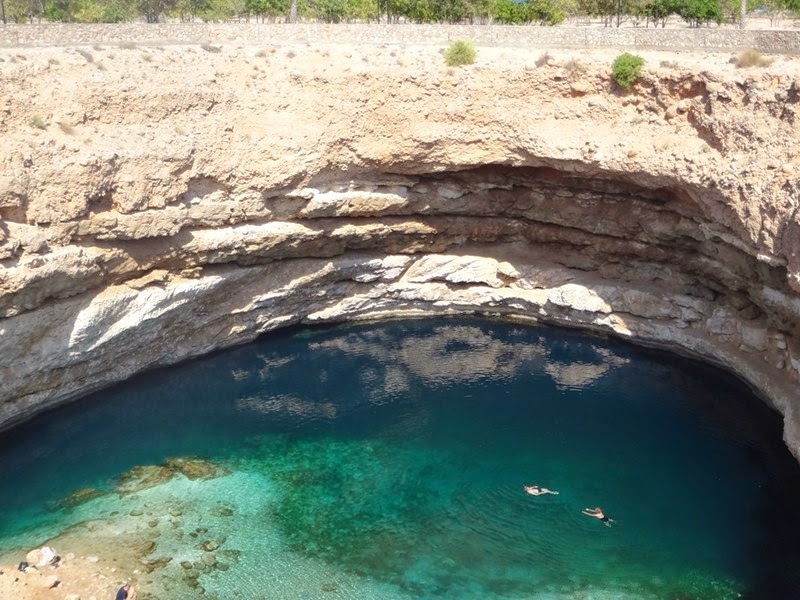 Bimah sinkhole was formed in limestone by a collapse of large cave chamber. 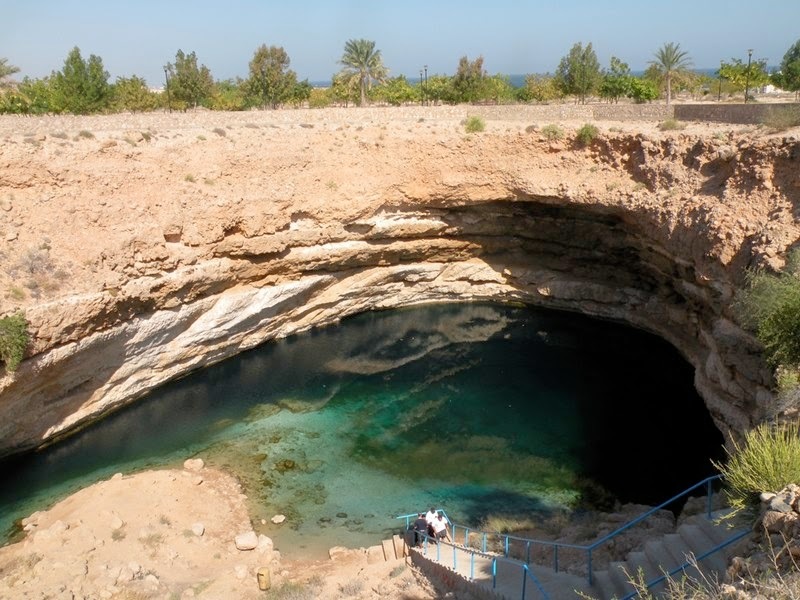 Earlier locals believed that this hole was formed by meteorite ("piece of Moon"). 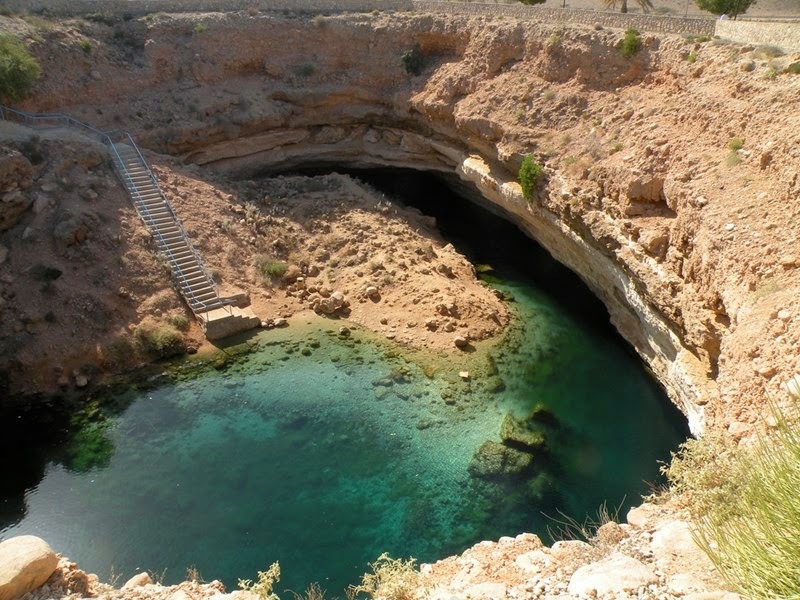 The sinkhole is approximately 50 by 70 m large, 20 - 30 m deep. 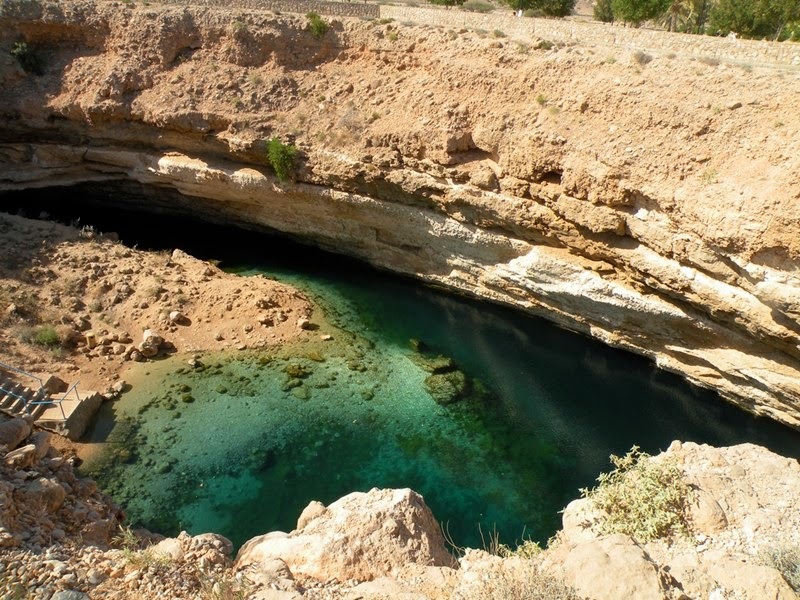 At the bottom is located deep blue-green lake with a heap of rock - remnants of the collapse. 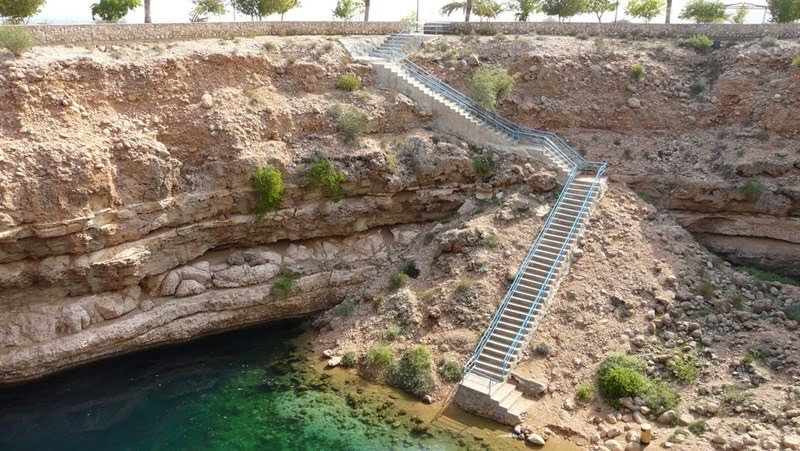 Municipality has developed a park around the sinkhole, there is built concrete stairway leading to the lake. 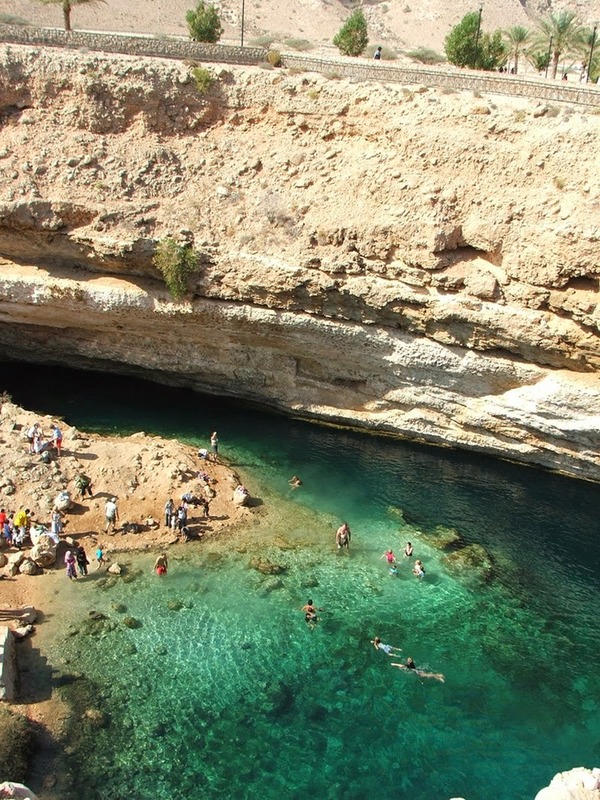 Locals and tourists often enjoy a refreshing bath in the lake. 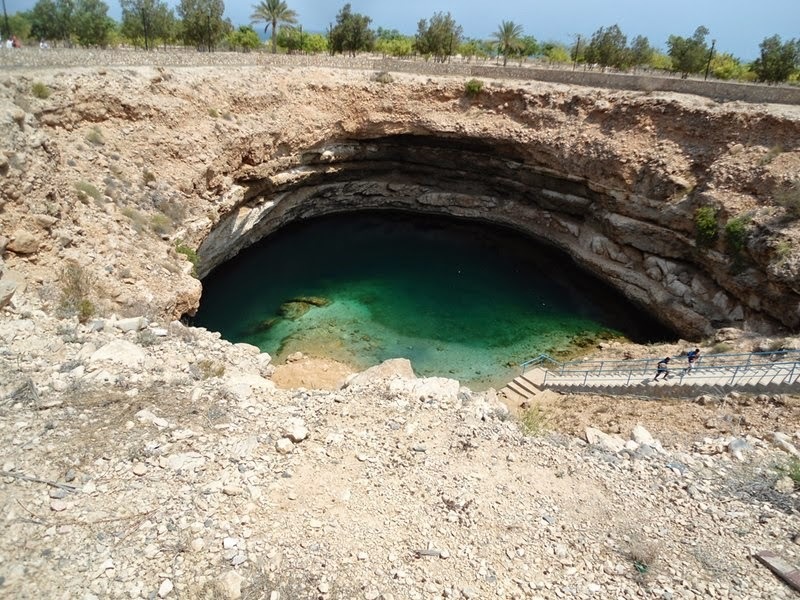 Most likely the sinkhole is connected to the 600 m distant sea. 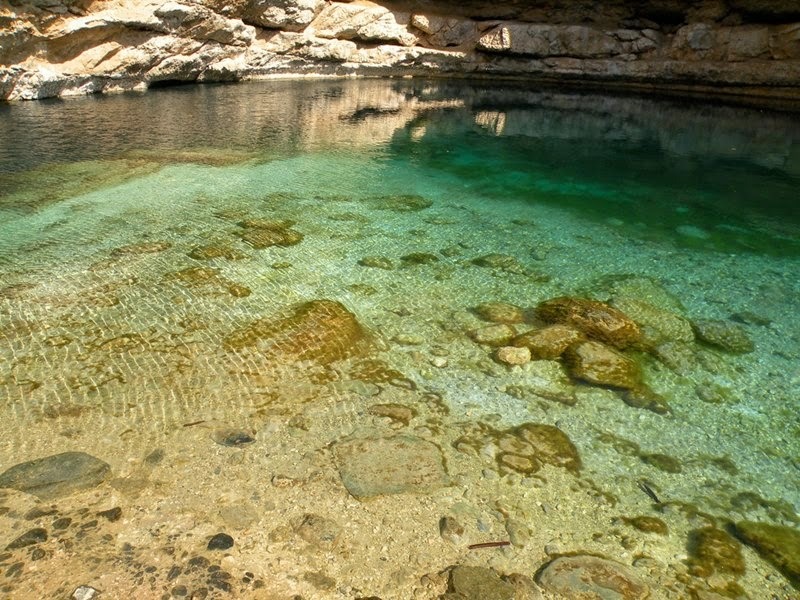 Top layer in the lake is crystal clear, but at the depth of some 8 m water has sulphuric taste due to sulphur oxidizing bacteria and is less clear.